The Sensitive Price Level indicator (SPL) draws fixed horizontal levels on charts that allow seeing sensitive target prices, helping to find more accurate entry points to open or close your trades. 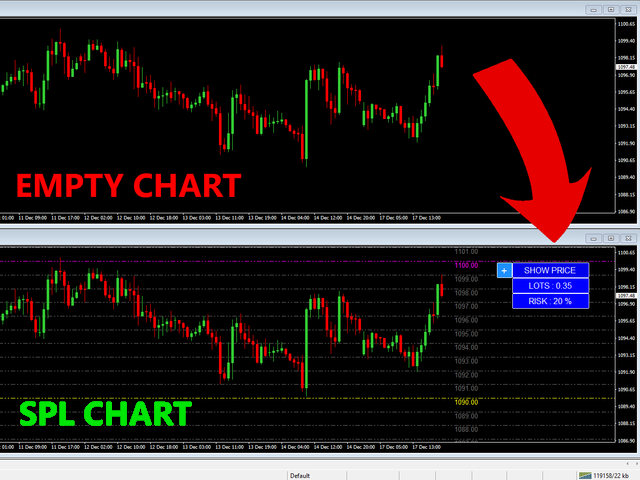 It is a needful instrument to take a decision in trading activity and to give a clear orientation on charts. A simple control panel allows calculating operation costs and lots. - 10X : DIMGRAY dot lines. 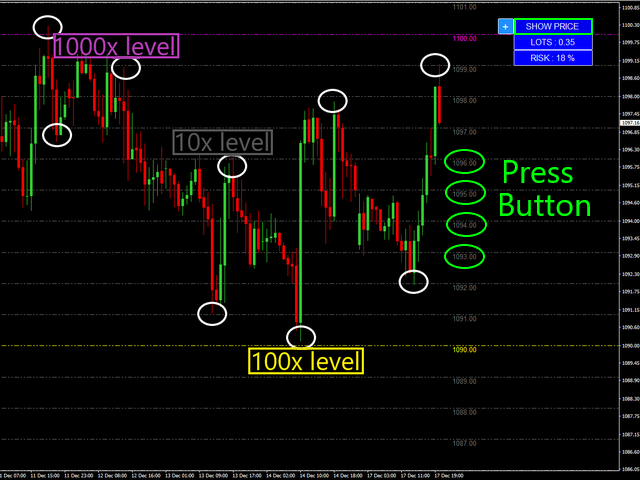 - 100X : YELLOW dot lines. - 1000X : MAGENTA dot lines. Default colors and price multiples can be modified with the control panel. You can show/hide line prices by pressing the SHOW PRICE button. 2. LOTS are calculated according to risk (expressed as the percentage of the capital) and stop loss (SL). A message with maxim lots will appear if lots surpass the limit. 3. RISK represents the operation cost, including commissions, expressed as the percentage of the stop loss. You can change risk/spread visualization by pressing the RISK button. 1. Resolution - Grid resolution ( five choices). 2. Capital Risk – Manage your risk percentage. 3.Commission – Broker’s commission for operation (1 lot trade). 4. 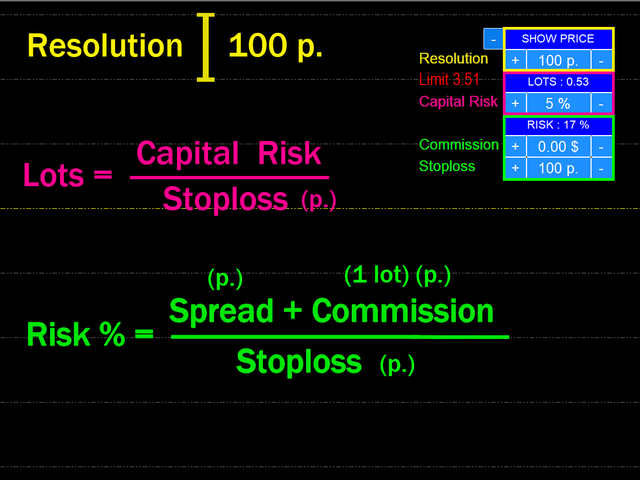 Stoploss – operation SL calculated in point. CHANGE THE WAY TO LOOK CHARTS!